Pop. 126. In Haliburton C. at the N end of Twelve Mile L and on Hwys. 35 & 118, 16 km. W of Haliburton. Pop. 60. In Cardiff T, Haliburton C. on Halls L. and C. Rd. 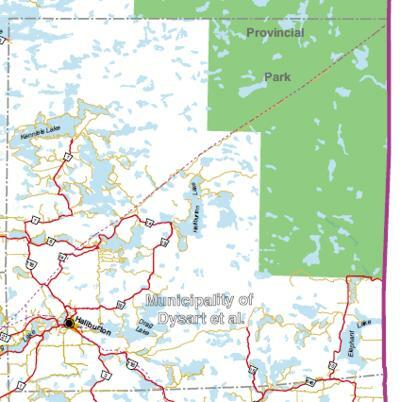 13, 1 km E of Hwy. 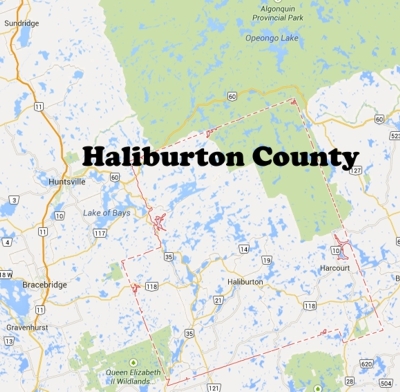 35, 36 km NW of Haliburton. Pop. 238. In Guilford T., Haliburton C. on the NE shore of Maple L., Hwy 118 and C. Rds. 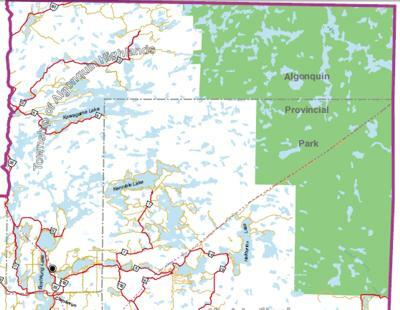 6 & 7,13 km NW of Haliburton, 86 km SE of Huntsville. Pop. 140. In Snowdon T., Haliburton C. at the S end of Kashagawigamog L. and C. Rd. 18, 54 km SE of Bracebridge. Pop. 37. In Snowdon T., Haliburton C. on Burnt R. and C. Rd. 1, 12 km E of Minden. Pop. 1,111. 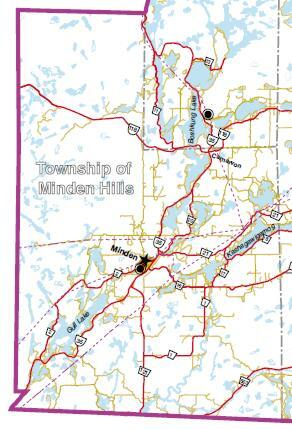 In Minden T., Haliburton C., on Gull R. and C. Rd. 2, just W of Hwy 35, 35 km. SW of Haliburton, 94 km. SE of Huntsville. Pop. 246. In Guilford T., Haliburton C., on the south shore of Eagle L. at the junction of C. Rds. 6 and 14, 86 km. W of Bancroft, 71 km. E of Bracebridge.